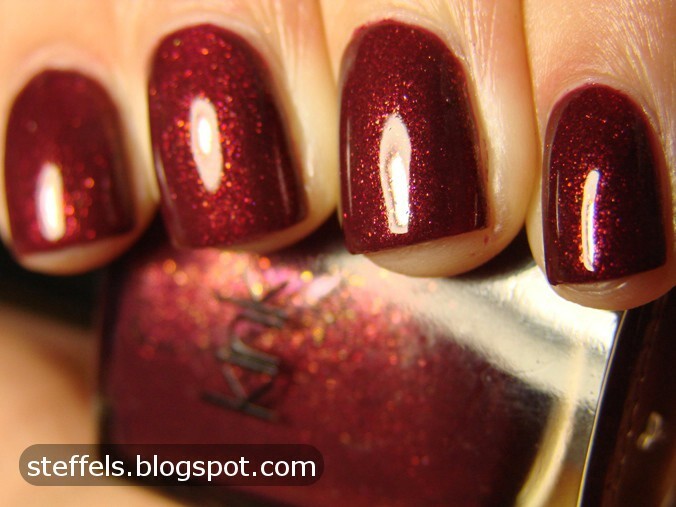 Femme Fatale is a pink/burgundy/red with a beautiful flaky gold shimmer running through it. This is three easy coats. The Kink polishes have a beautiful brush- not too huge and not too floppy- it just gives so much control. On another note, I'm currently sick with the flu again (booo immune system) so I may not be up to posting as much for now since I feel like crap at the moment.